Huntsville is in Madison County Alabama in the central part of the far northern region of the State of Alabama. 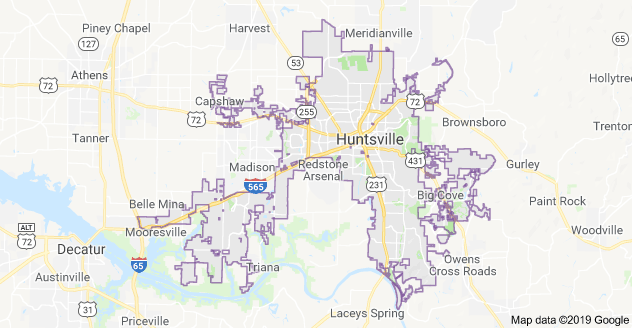 Huntsville is the county seat of Madison County. The city extends west into neighboring Limestone County.